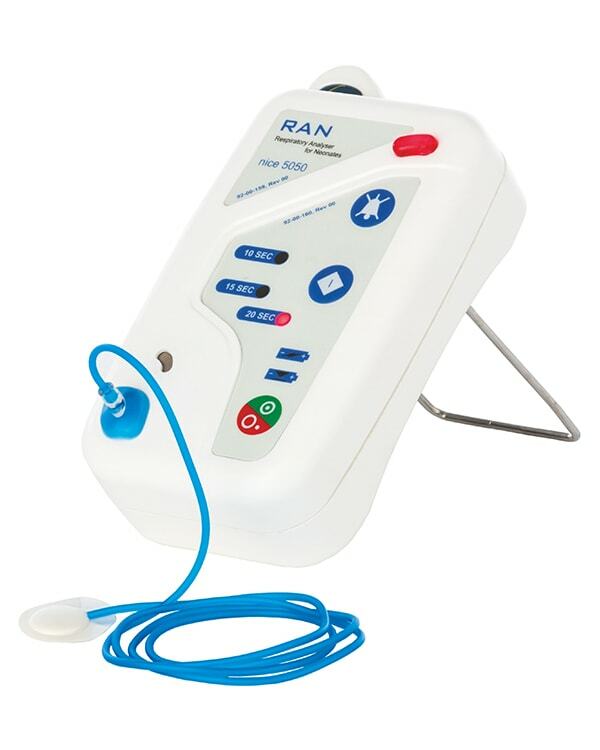 Detects the cessation of breathing (apnea) in infants who are at risk of respiratory failure and alert the parent or attendant to the condition. Some prolonged respiratory pauses result in low oxygen concentration levels in the body, which can lead to irreversible brain damage and, if prolonged, death. Gives an audible & visual warning if the infant stops breathing for more than the selected apnea interval time. Low Power draw allows the units to operate continuously for 20 hours in the rechargeable battery.